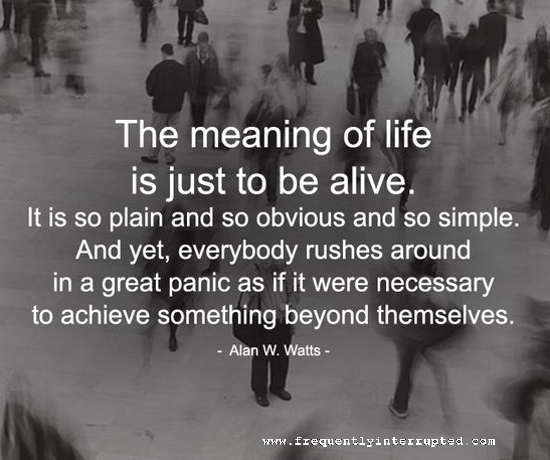 The meaning of life is to live. It is that simple and that complicated. Dive in, do all you can, and explore what it means to be alive. If you are doing that, you are answering the meaning of life as only you can. It is an answer we must each supply for ourselves.